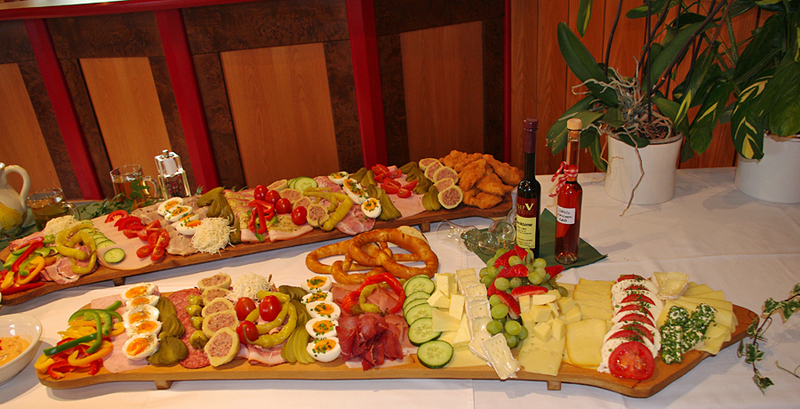 Our Restaurant offers regional and seasonal specialties, - traditional upper Austrian food like the “Brat’l in da Rein”. 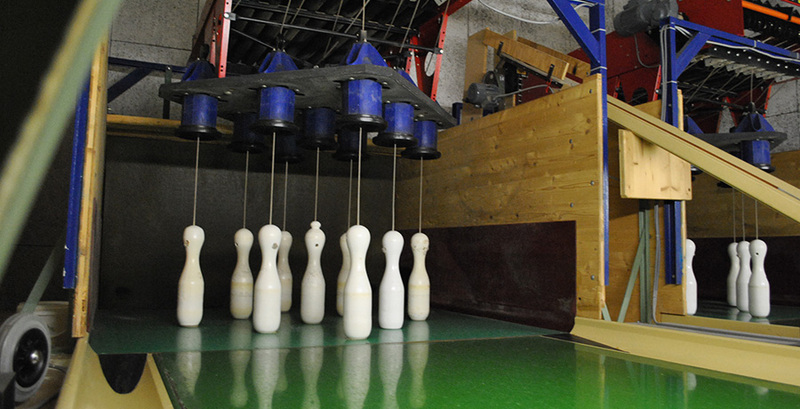 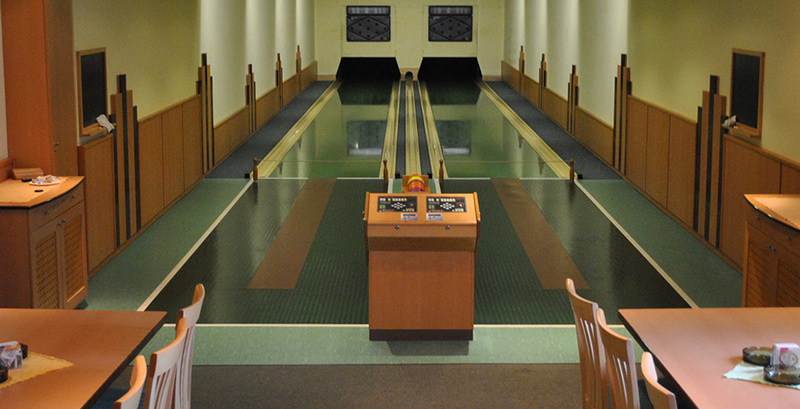 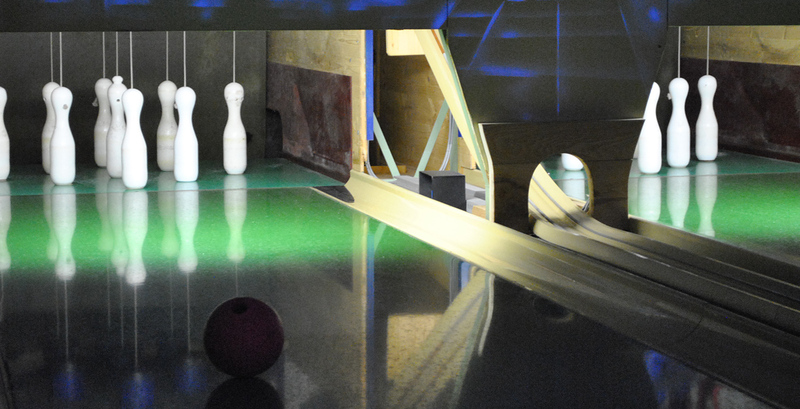 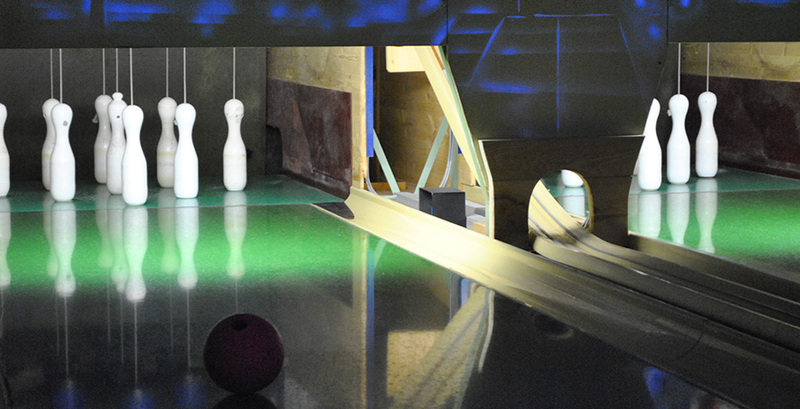 If you’re looking for fun, sport and amusement our bowling alley is the right place. 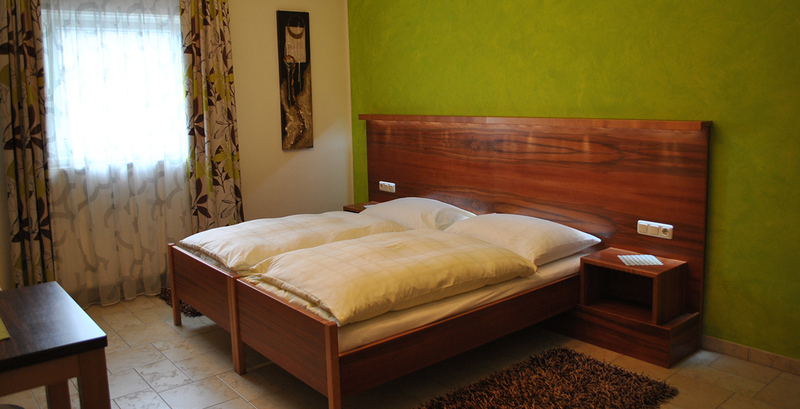 Comfortable and very much a home from home, our guestrooms are perfect to relax. 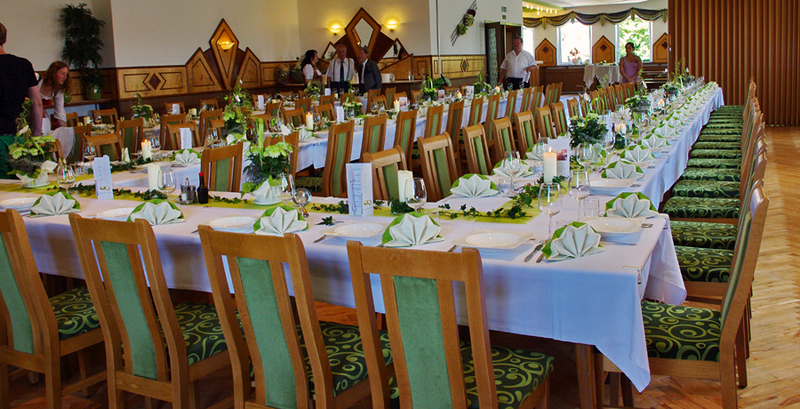 We are delighted to offer our catering service to you and your guests, - whether you prefer a cold or hot buffet, our team organizes a perfect catering for you. 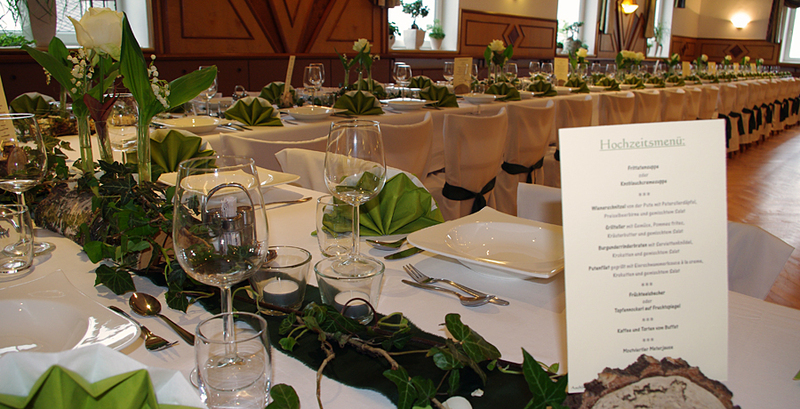 We are situated on the center of “Aschbach” in front of the town hall. 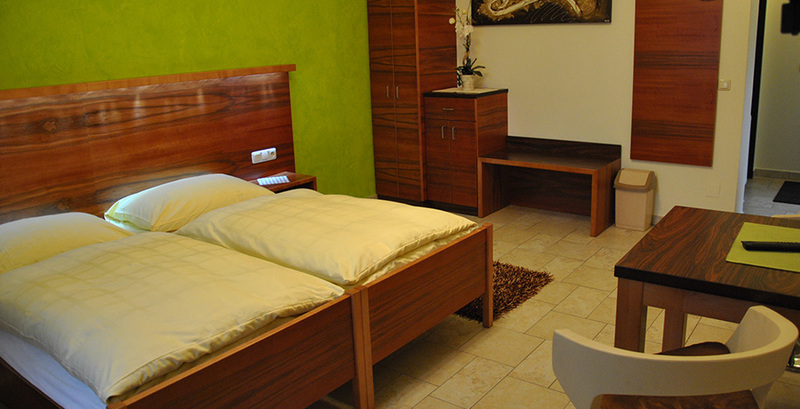 Our “Gasthof” is known for its comfortable rooms, single and double rooms are offered. 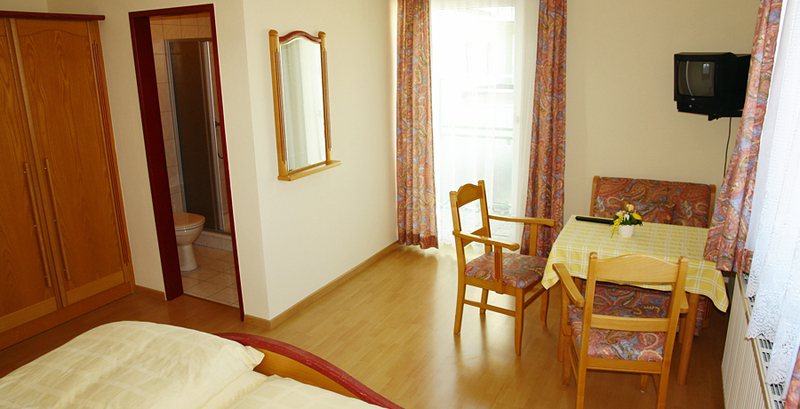 Furthermore we provide TV and wireless Internet for our guests. 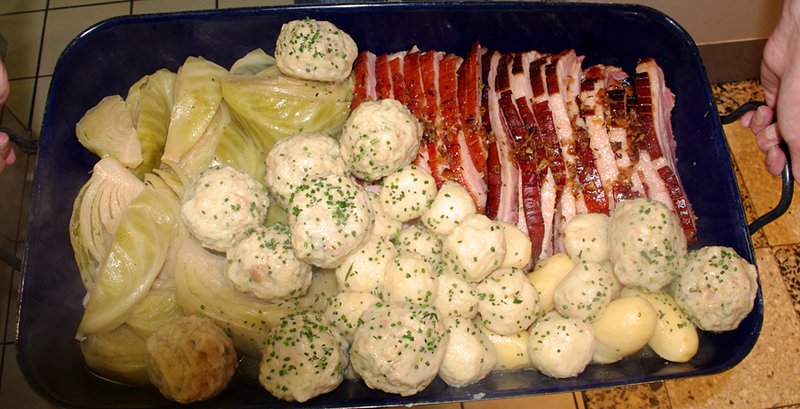 Moreover we are well known for our traditional meals like “ Bratl in da Rein” this is roasted pork prepared in the oven. 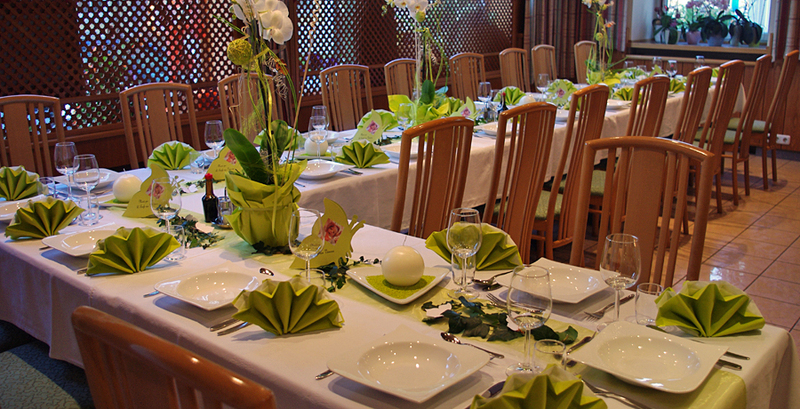 We also offer a special catering service for any festive occasion. 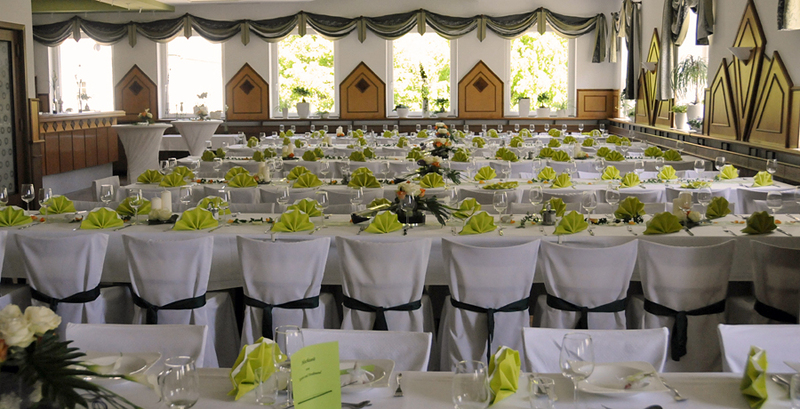 Furthermore there is a banquet hall for 300 people, in addition we have two other dining rooms (for 40 people) as well as two bowling lanes. 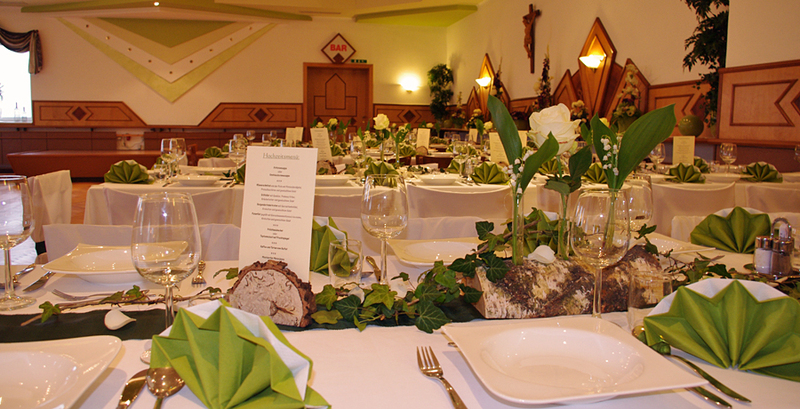 We are looking forward to welcoming you to our “Gasthof” and wish you a nice stay. 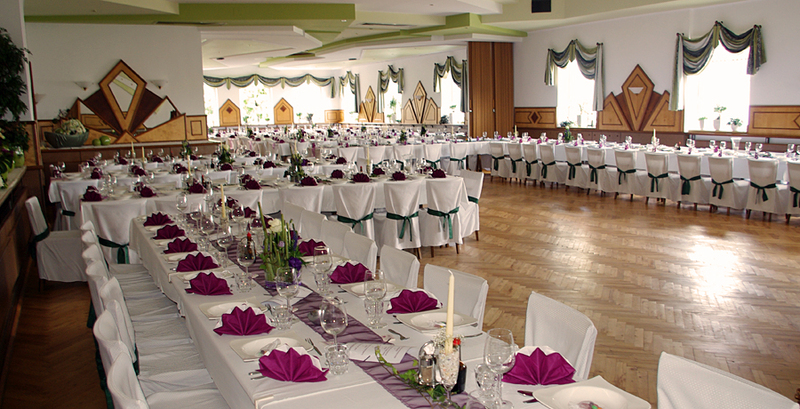 We have 3 restaurants and a banquet hall for 300 people plus a separated bar. 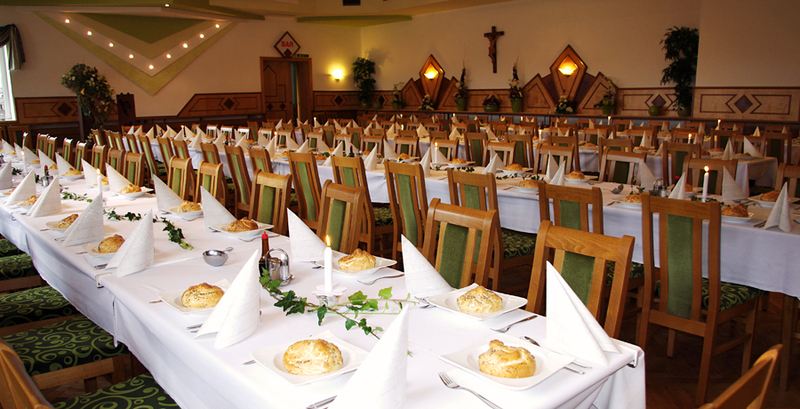 The restaurants are separated in a traditional restaurant including a bar and in two modern restaurants, each area offers 45 seats . 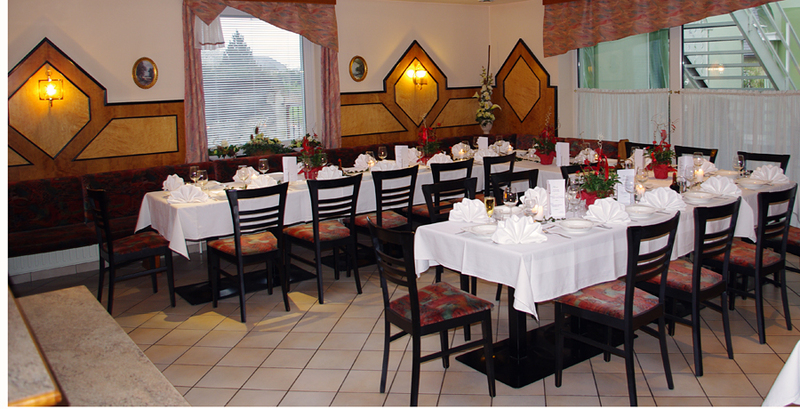 Our restaurant is ideal for any kind of family festivity or for a celebration or catching up with friends. 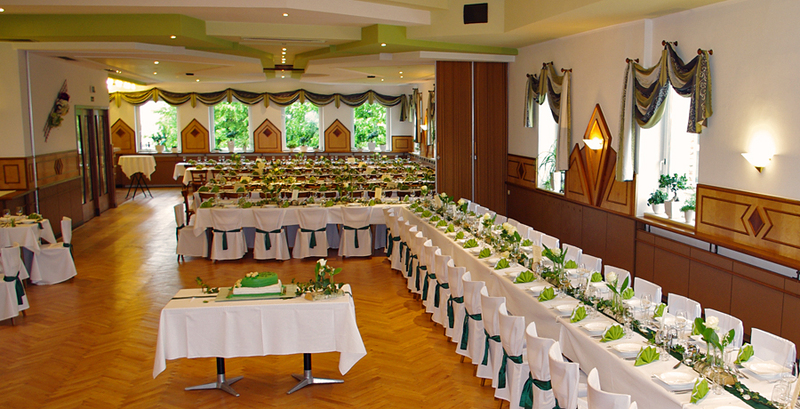 Our banquet hall is suitable for weddings, carnival or birthday parties as well as for dancing evenings for up to 250 guests. 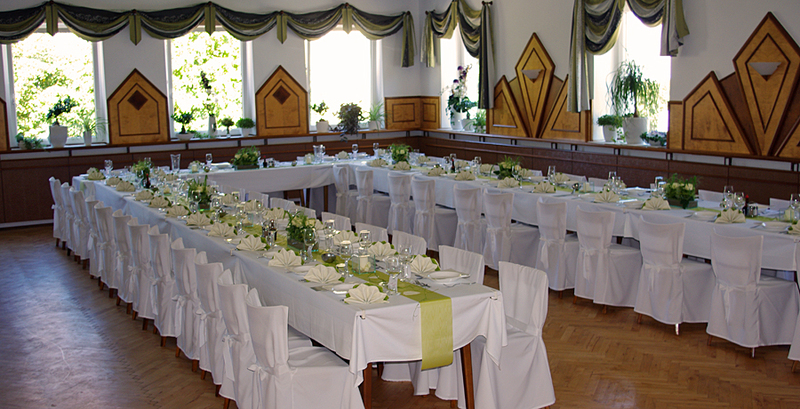 Two canvases, a flip chart, a microphone and a stage (2,5 * 5m) are available for your event. 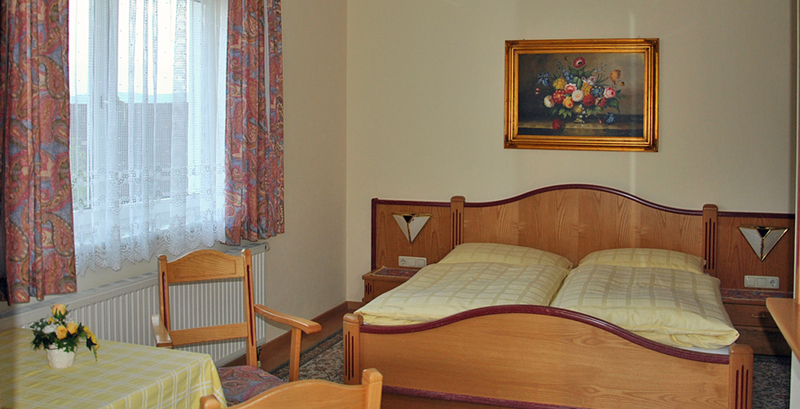 “Lettner’s Gashof” includes 24 single and double rooms; each room has bathrooms wireless Internet and TV. 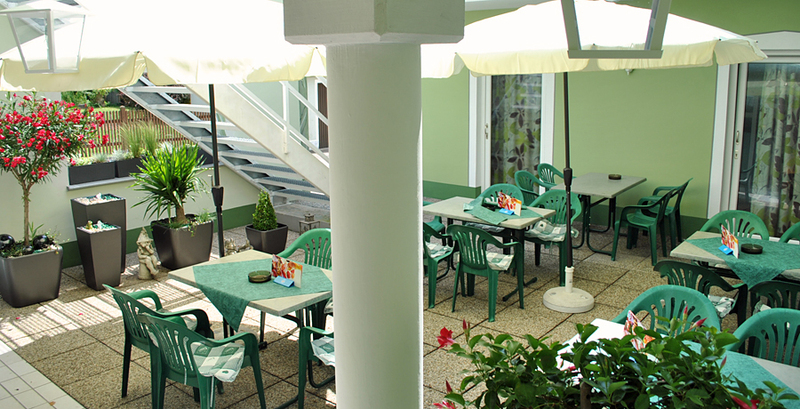 Some of our rooms have a balcony or a terrace. 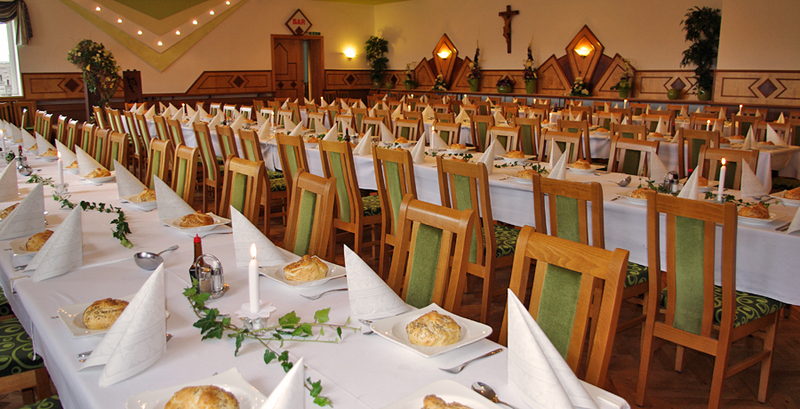 Every morning a large breakfast is offered. 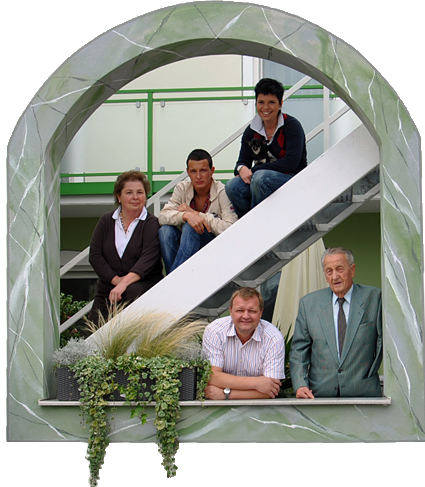 Furthermore our garden can be used to relax and to take rest. 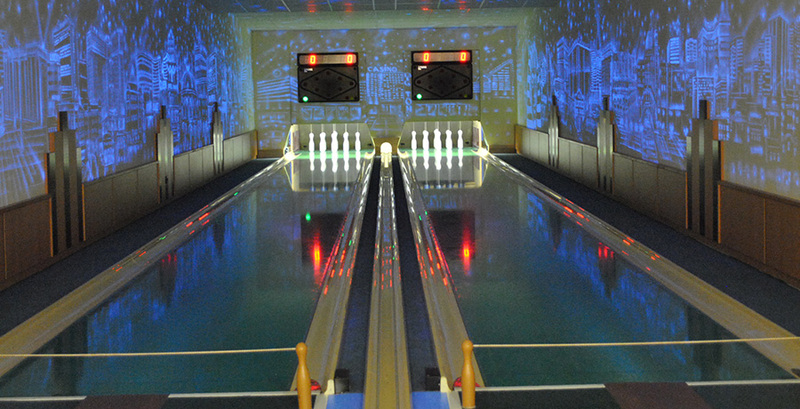 There are special lightning effects which make bowling a real fun experience. 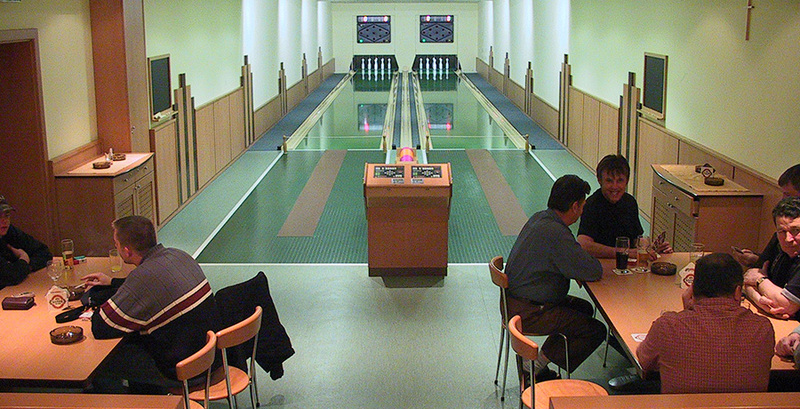 Just give us a ring to reserve the bowling alley. 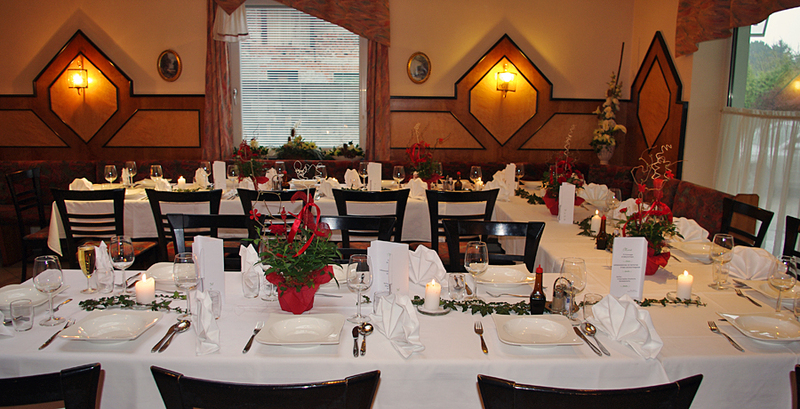 Our Restaurant offers regional and seasonal specialties. 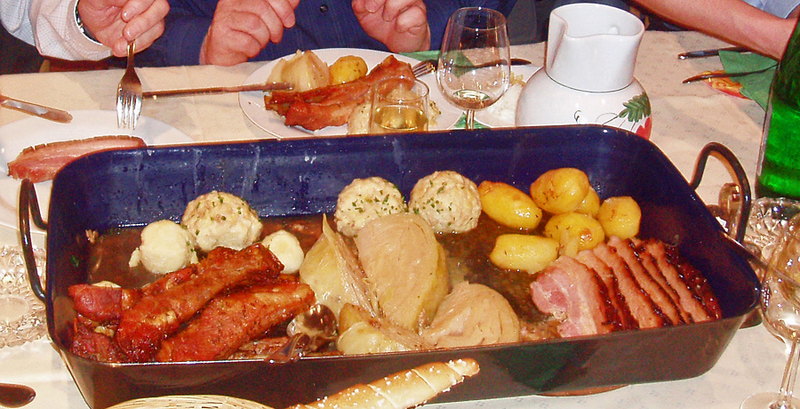 As well as traditional upper Austrian food like the “Brat’l in da Rein” , this is roasted pork prepared in the oven. 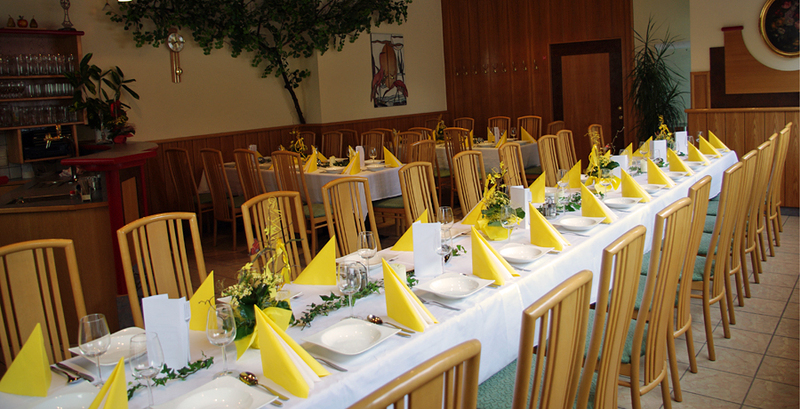 In addition we offer a daily menu during weekdays to an advantaged price. 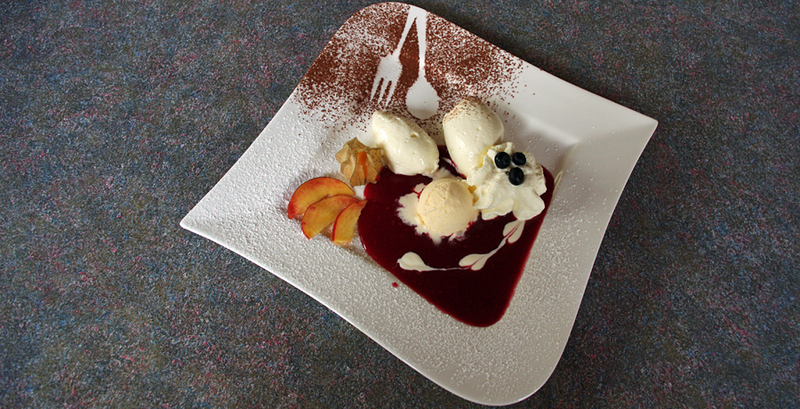 Enjoy our home-made desserts, like the well-known “Kardinalschnitte”. 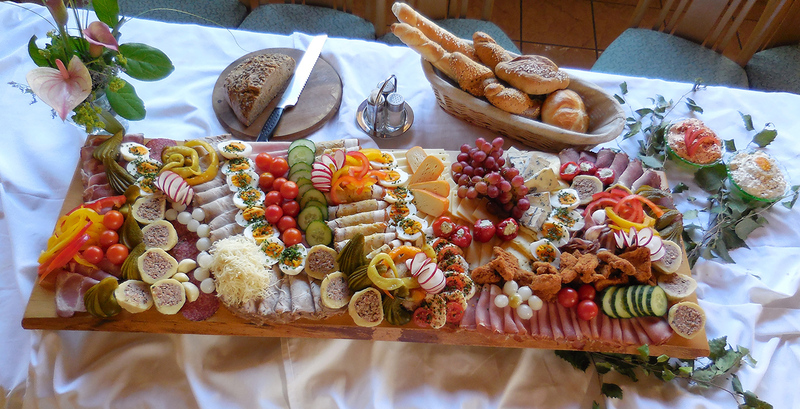 The original “Mostviertler Meterjause” this is a snack with spread, bacon, joint of pork, slices of sausage, ham, several cheeses, meatballs, escalope and vegetables. 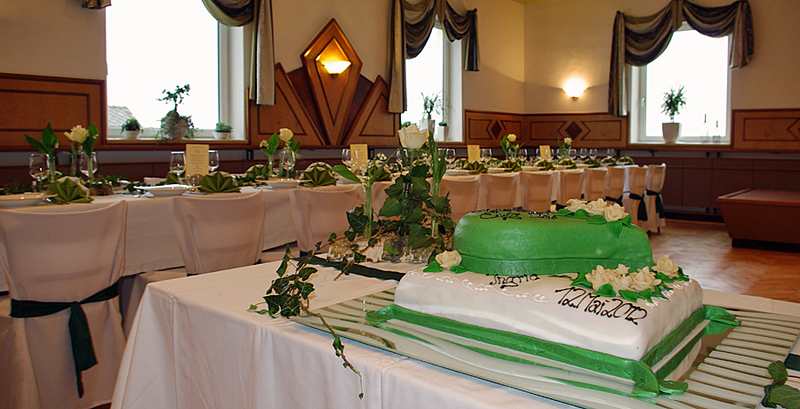 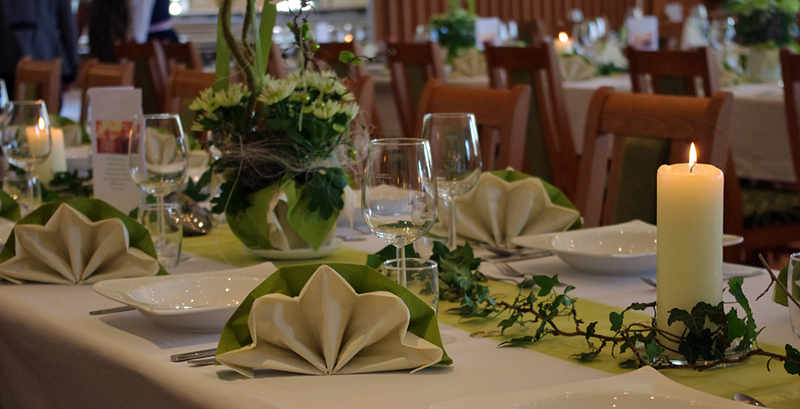 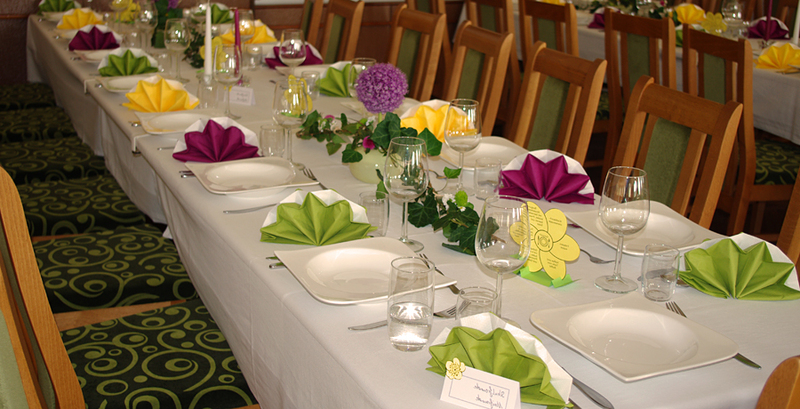 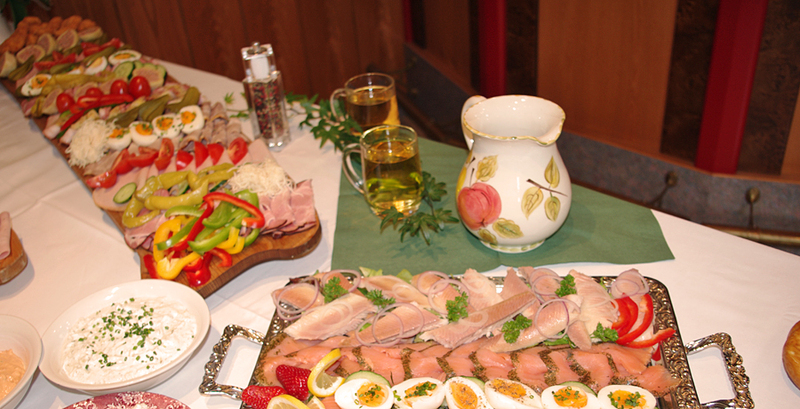 We are delighted to offer our catering service to you and your guests. 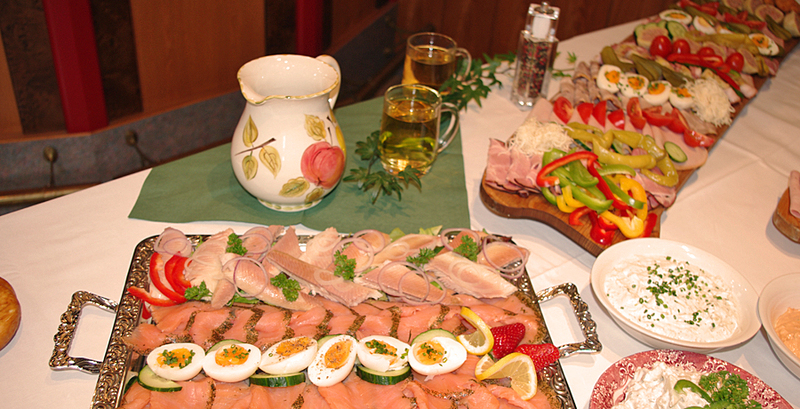 Whether you prefer a cold or hot buffet, our team organizes a perfect catering to your needs. 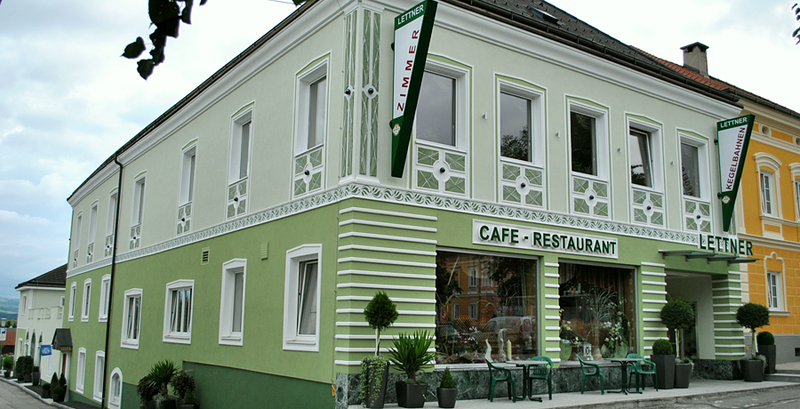 several meat specialties like“ Wiener Schnitzel”, “Cordon Bleu” “Hendlhaxerl,” “Schweinefilet mit Pfeffersauce” “Schweinebraten”, and salad , side dish as well as diverse soups and desserts.